February 23, 1986 - October 18, 2017 Clarice Jewel Galvez-Heilbron died on October 18, 2017. She is survived by her husband, Ian Louis Heilbron; parents Adrian and Lerina Galvez; sister Camille Galvez; nephew Aiden Kuklinsky; grandmother Pacita C. Saludes; grandfather Rev. Jaime F. Galvez, Sr; and numerous aunties, uncles and cousins. She attended Kalei'opu'u Elementary, Waipahu Intermediate, and her high school years at University Laboratory School, a 2004 graduate. She left home at age 18 to pursue her Bachelor Degree of Social Work at Seattle University in the state of Washington. This place is where she met the love of her life and soulmate. When she came home during her summer vacations, she was always drawn to work with special needs children at August Ahrens Elementary School. After graduation at Seattle University, she was employed by Family Focus in Seattle which contracted her as Behavioral Specialist to help with students with special needs at North Bend Elementary School in the suburbs of Seattle. Clarice also worked as Information Technologist at Harborview Medical Center in Seattle. In the summer of 2013, she came home to Hawaii to pursue her desire to work with children with severe disabilities. 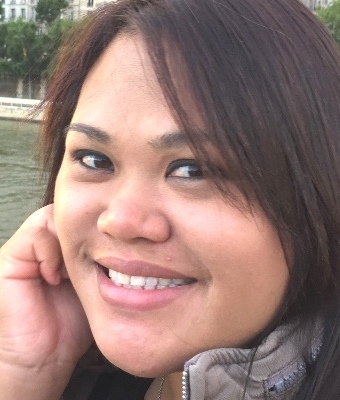 She received her Post Baccalaureate Certificate in Special Education at UH Manoa in May 2015. Clarice taught Special Education at Ewa Elementary School for 3 years. She lived her 31 years of life to its fullest, loving God, family time, traveling, and her adventures with food and wine. A Celebration of Life service will be held on Saturday, November 11, 2017 at the Honolulu First Church of the Nazarene, 408 N Judd St. Visitation: 9:00am; Service: 10:00 am; Lunch to follow. Burial at 1:30pm at Valley of the Temples Memorial Park.